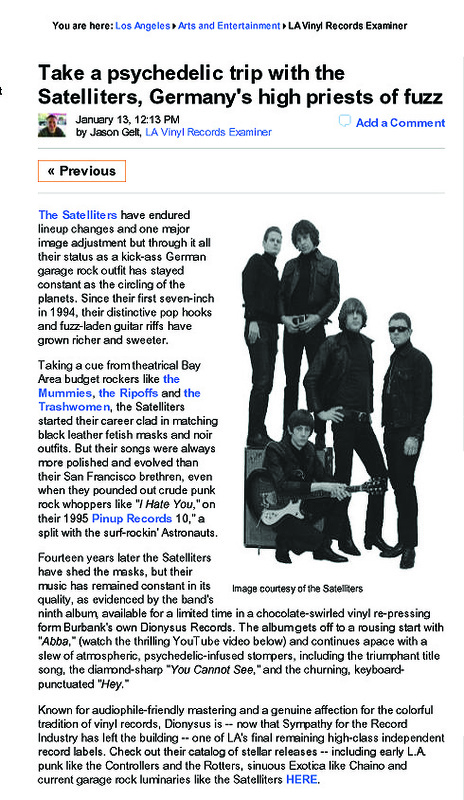 Vinyl record expert, Jason Gelt, wrote a nice piece on The Satelliters and the limited color vinyl repressing of their latest album “Where Do We Go.“ Click the link to see the web page and his other writings or read here. Thanks Jason! Our shopping cart keeps growing! East LA ’60s legends Mark & The Escorts at Blowout 2009! January sale, color vinyl, restocks and tour dates!